A world where girls live in fear. A safe haven far away. But is it far enough? This is Maresi's story. Maresi came to the Red Abbey when she was thirteen, in the Hunger Winter. Before then, she had only heard rumours of its existence in secret folk tales. In a world where girls aren't allowed to learn or do as they please, an island inhabited solely by women sounded like a fantasy. But now Maresi is here, and she knows it is real. She is safe. Then one day Jai - tangled fair hair, clothes stiff with dirt, scars on her back - arrives on a ship. She has fled to the island to escape terrible danger and unimaginable cruelty. And the men who hurt her will stop at nothing to find her. Now the women and girls of the Red Abbey must use all their powers and ancient knowledge to combat the forces that wish to destroy them. And Maresi, haunted by her own nightmares, must confront her very deepest, darkest fears. A story of friendship and survival, magic and wonder, beauty and terror, Maresi will grip you and hold you spellbound. Maria Turtschaninoff was born in 1977 and has been writing fairy tales since she was five. She is the author of many books about magical worlds. She has been awarded the Swedish YLE Literature Prize and has twice won the Society of Swedish Literature Prize. She has also been nominated for the Astrid Lindgren Memorial Award. 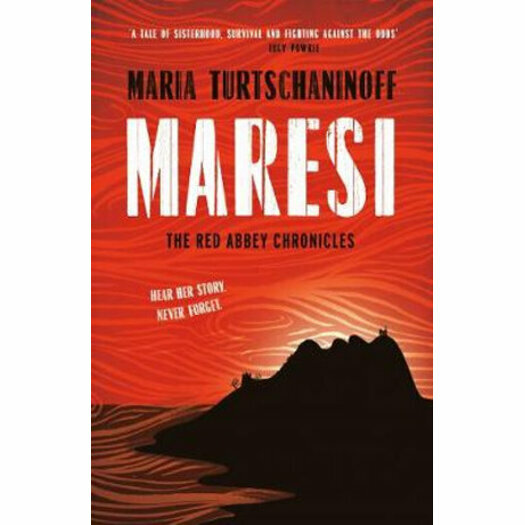 Maresi is the first book in the three-part Red Abbey Chronicles, all of which will be published by Pushkin Press. Maresi is being published in eight languages and won the Finlandia Junior Prize.